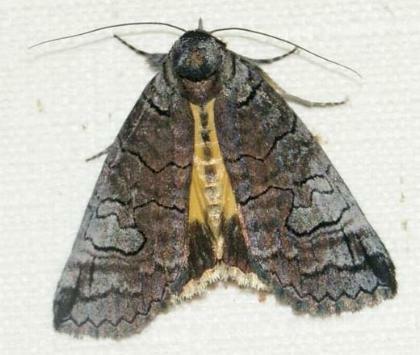 The adult moth of this species have a complex grey pattern on each forewing. The hindwings are white or yellow, with broad dark margins. The wingspan is about 3 cms.